Why replace your expensive bathroom fixtures when they can be restored? 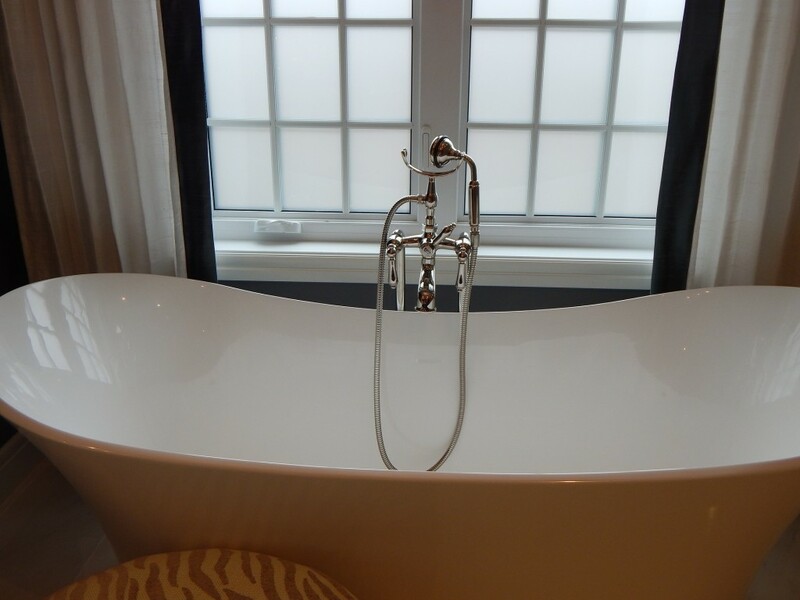 We refinish bathtubs, sinks, shower pans and formica counters. 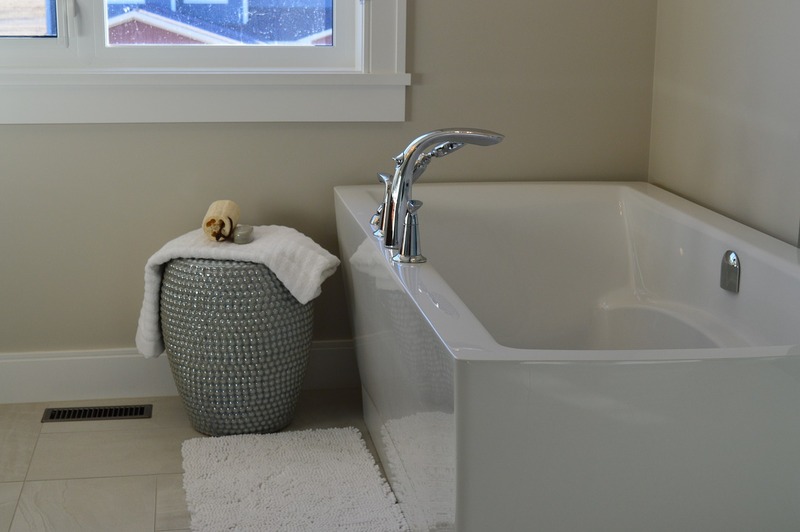 Is your Modesto bathtub or sink worn, dull or hard to clean? Does your shower look old and tired? We can restore your bathroom surfaces so they look bright and new again. Don't replace it when we can refinish it! Locally owned and operated, Porcelain Genie serves California's Central Valley with bath tub refinishing from anywhere between Modesto, Stockton, & Merced CA. Call for a free estimate for our professional porcelain and fiberglass refinishing and restoration today! We offer a free consultation, it doesn't cost you anything to find out how we can help you. We offer commercial pricing, no job is too big or too small. Are you a retiree living on a budget? Ask us about our senior citizen discount! We fix your old fixtures instead of replacing them. This prevents a messy and expensive remodel, but gives your bathroom back the sparkle you have been missing. We have been refinishing and restoring bathroom fixtures for 34 years! We restore your bathroom fixtures for 75% less than what it would cost to replace them! Refinishing is economical, and refinished fixtures and counters are durable. We'll give you long-lasting results at a huge savings. "Make it look shiny with a little magic from the Porcelain Genie!" Surface refinishing doesn’t require weeks of messy construction. In just 2-3 days, your kitchen and bathrooms will be beautiful again! Not only is surface refinishing fast, but you’ll save 50-75% over the cost of messy replacement. Our customers save thousands of dollars! We give you a high-end look without the high-end cost. We refinish your Modesto tubs, showers and sinks. Making them look and feel like new so you can enjoy for years to come! If you are looking for our San Leandro refinishing services click here. Please click the Google button below to give your review of our services. Call us today at 209-883-9080 To Get Your Free Estimate! Commercial Rates and Senior Discounts Available. Upgrading bathroom materials is one of the most beneficial home improvement projects you can undertake. Why? Not only does it create a more relaxing and enjoyable space, but it also can add significant value to your home. . Many times people choose to spend a good chunk of money on replacement products, when some simple, affordable refinishing work can produce the same results. Modesto bathtub Refinishing is a smart option, saving you from overspending on brand new replacement materials. If you want to freshen up the look of your bathroom be sure to call on Porcelain Genie, Refinishing tubs, sinks, & shower pans from Merced to Stockton. Porcelain Genie is proud to be serving Merced County, Stanislaus County, San Joquin County, & Alameda County. Call Today for a free estimate.